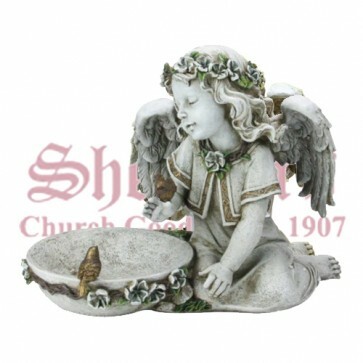 This lovely seated angel with birds comes with a solar powered birdbath. Resin-stone mix. Measures 14" wide.